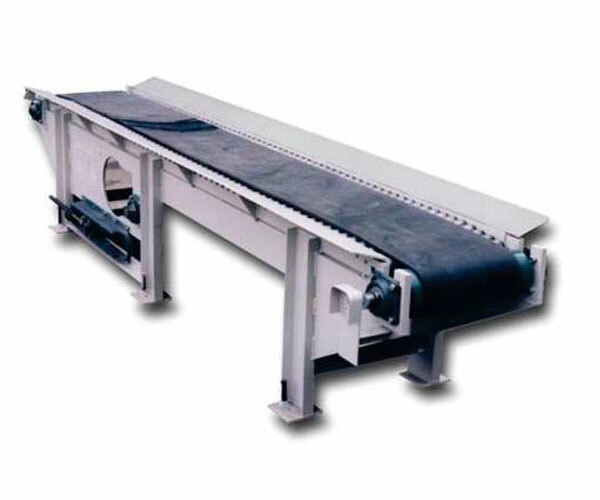 Belt Conveyor is used for handling bulk material. It is fitted with impact troughing idlers for absorbing impact of falling material under loading point of conveyor. It can be provided in horizontal and trough type as per customer requirement. It can also be provided in reversible type as per customer requirement and is having reduction gear drive unit. 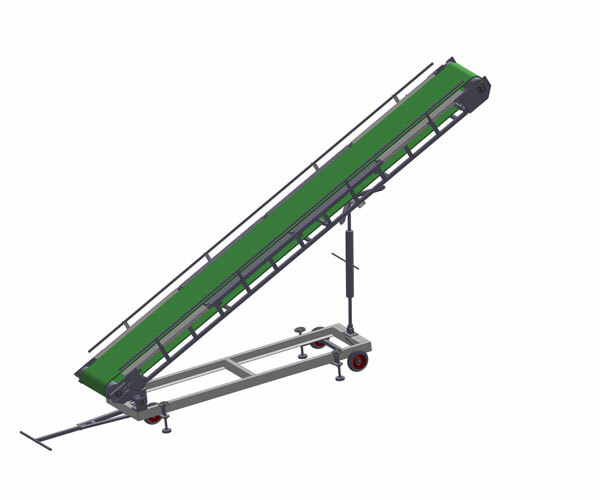 AGROSAW inclined flight belt conveyors are available in all Flights/cleats, side wall and conveyor belt come in VC/PU/Nylon Food grade material. Hence, AGROSAW flight belt conveyors are specially recommended for delicate seed/grains. Depending upon the requirement of the customers, flights made of high grade aluminium and without side wall can also be supplied. 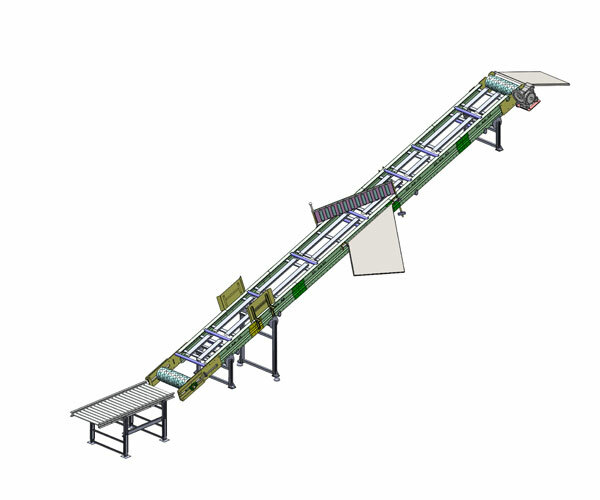 Trough belt Conveyor is used for handling bulk material. 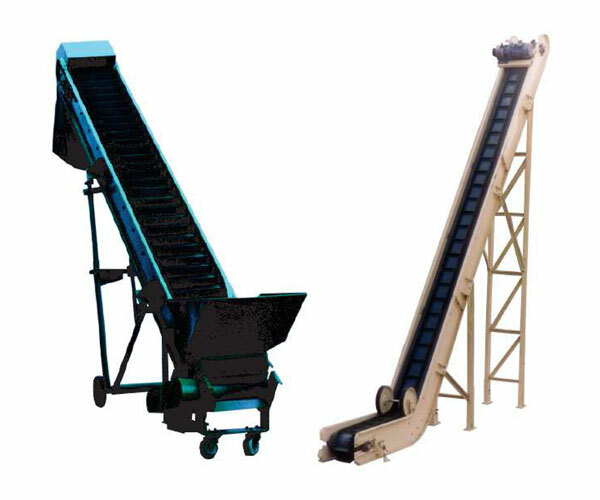 It is fitted with impact troughing idlers for absorbing impact of falling material under loading point of conveyor. It can also be provided in reversible type as per customer requirement and is having reduction gear drive unit. Suitable for loading and unloading of filled bags in the trucks, rail wagons etc. Suitable for bag stacking in the stores. Adjustment of height at one end or both ends is available. Height adjustment with the help of screw arrangement or hydraulic arrangement. Also available in fixed room height. Chevron Belt Conveyor is used for handling bulk material where there is an high inclination angle.. 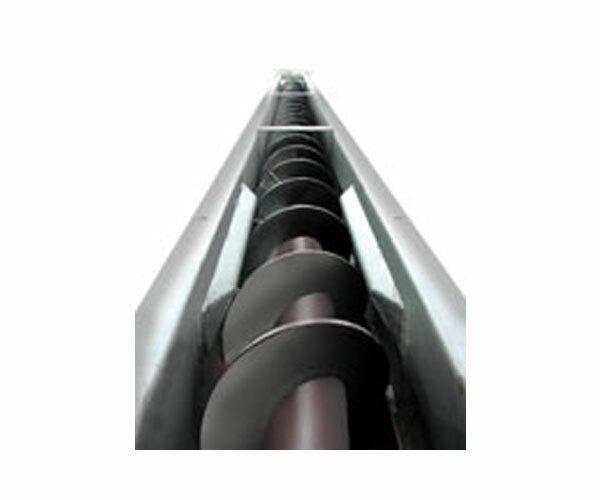 It is fitted with impact troughing idlers for absorbing impact of falling material under loading point of conveyor. It can be provided in horizontal and trough type as per customer requirement. It can also be provided in reversible type as per customer requirement and is having reduction gear drive unit. We provide "Bag Loading / Unloading Conveyors" for multi-storey cold storage. Most of the cold storage facilities face labour problem in peak season . This system is designed to reduce man power requirement. 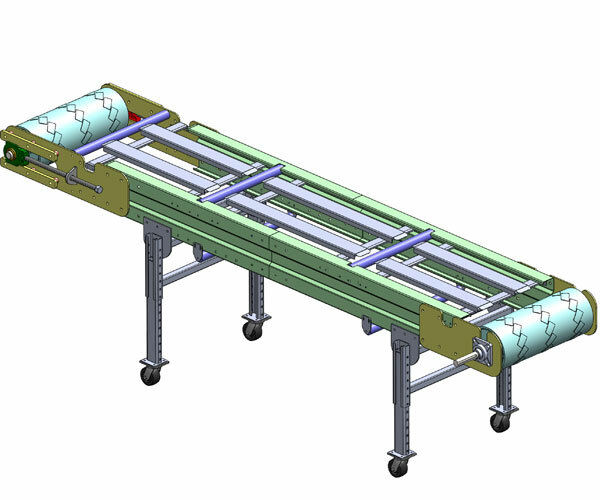 The drag chain conveyor system, used for dry bulk solids and powder processing, moves powders and granules, particularly fragile materials such as cereals, nuts, coffee beans and food ingredients inside a hygienic, sealed tube. Material is fed into the pockets formed between discs inside of the conveying tube and is pulled through until it reaches the outlet. This is important particularly for food products as it minimizes product degradation and ensures dust-free transfer. 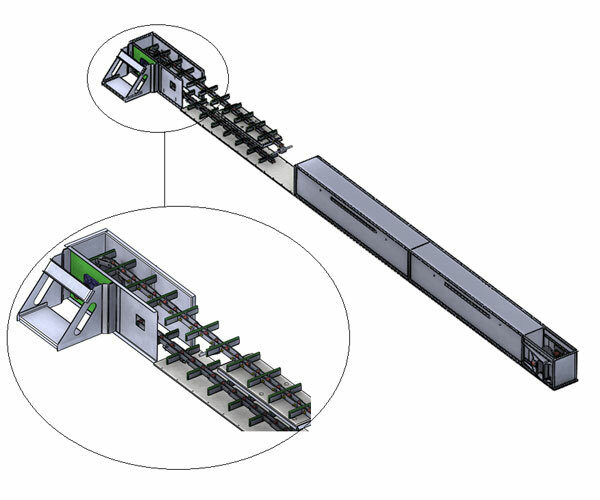 A screw conveyor or auger conveyor is a mechanism that uses a rotating helical screw blade, called a "flighting", usually within a tube, to move liquid or granular materials. They are used in many bulk handling industries. 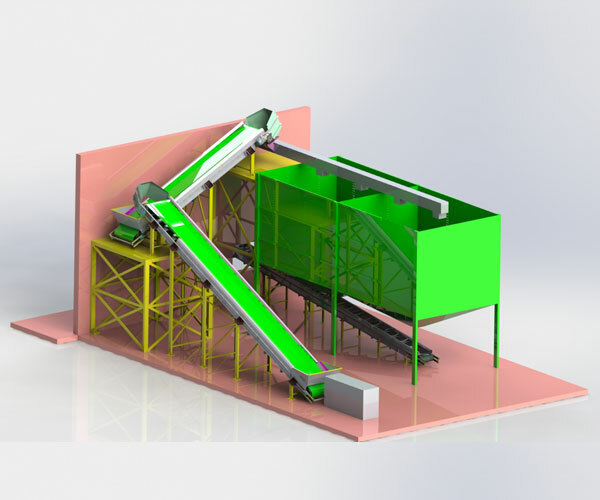 Screw conveyors in modern industry are often used horizontally or at a slight incline as an efficient way to move semi-solid materials, including food waste, cereal grains, animal feed and many others.